Our range of Industrial Liquid Storage Tanks is manufactured from quality 300-grade stainless steel and carbon steel in our state-of-the-art manufacturing unit. Known for its high storage capacity, leak proof and corrosion resistance, these are appreciated across the globe by our clients. 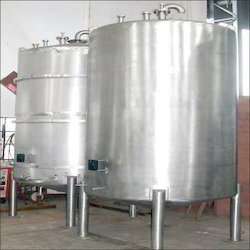 Looking for Liquid Storage Tank ?